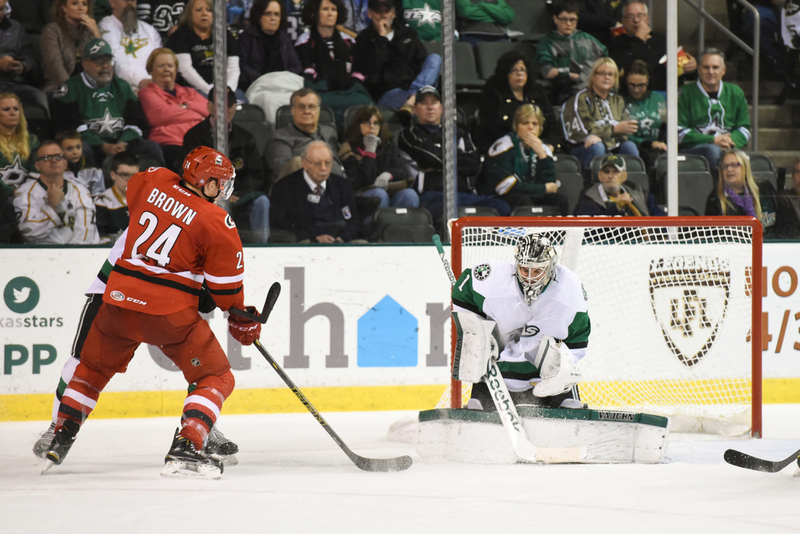 It was a double header weekend for the Texas Stars as the team took on the Charlotte Checkers Friday and the Stockton Heat Saturday. The Stars have struggled to pull out of a rut and they managed to come out of the weekend with 3 points - taking an overtime loss to the Checkers and a huge win over the Heat. 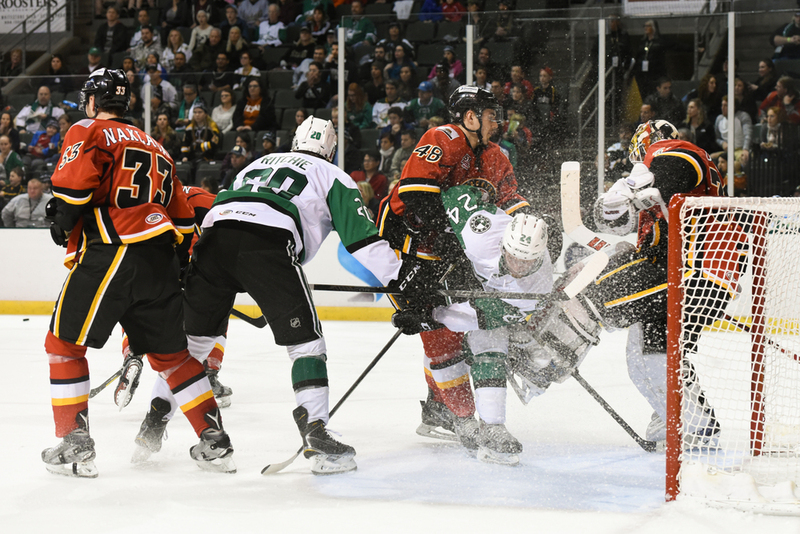 The Heat took a commanding lead in the first period of Friday's game and Stars' goalie Jack Campbell was pulled after 3 goals were allowed. Campbell would come back to the game for the second and third periods. The first shot above is Campbell taking a puck right into the Stars' logo on his jersey. The Stars put quite a few shots on the Heat net and managed to tie up the game. The second shot is a scoring attempt by Justin Dowling that was handled by goaltender. The third shot is Radek Faksa creating some traffic in front of the net. His jersey is blood stained from an injury in the first period. Full image gallery from Friday's game is here. 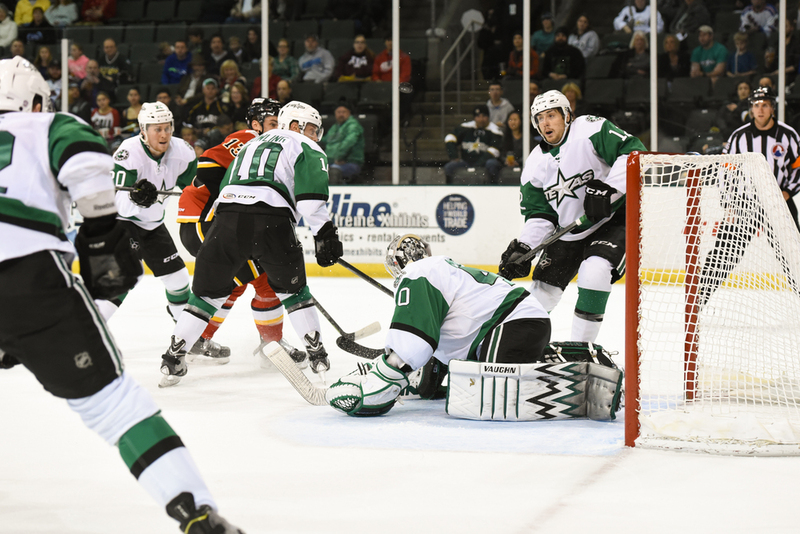 The Stars earned a 5-2 win against the Heat in Saturday's game. 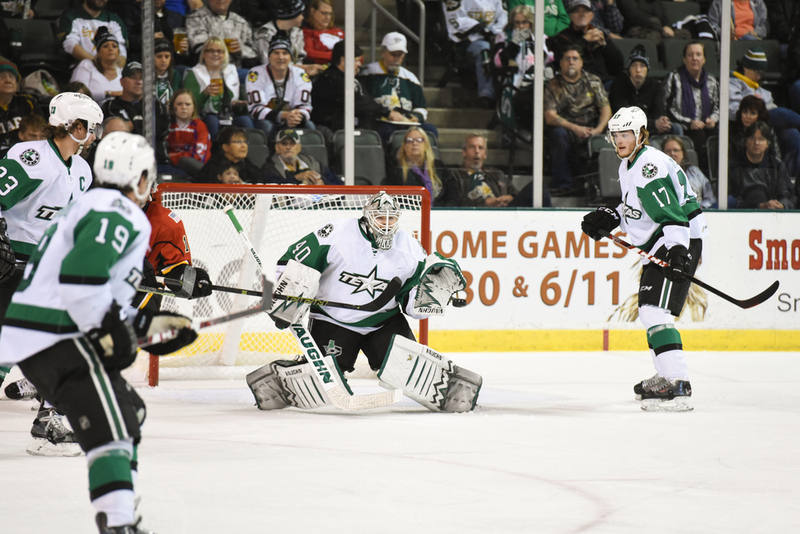 John Muse was in net for the Stars and the first shot is Muse gloving a puck in one of many fantastic saves in the game. The second shot is another Heat shot on goal with Muse getting some help from his teammates. The players always know where the puck is - can you find it? The third shot is a fierce third period attack on the Heat's net by Derek Hulak and Brett Ritchie. Ritchie earned a hat trick with 3 goals, including an open netter. Full image gallery from Saturday's game is here.